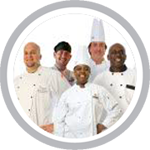 California food handler safety training is necessary for employees in the food service and hospitality industry. California food safety training is for employees (such as chefs, cooks, servers, preparers, vendors, caterers, supervisors and managers) who are involved in preparing, storing, or handling food that work in: (restaurants, bars, cafes, bakeries, delis, mobile food trucks, assisted-living, day care centers, and convenience stores). 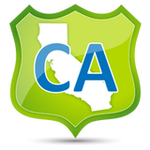 As of July 1, 2011, SB 602 requires, every California Food Handler who is involved in the preparation, storage, or service of food in a food facility has to take a California state-certified food handler course and pass an authorized test. The SB 303 bill made technical changes to the Food Handler Card Law that required training providers to be accredited through American National Standards Institute (ANSI). Other requirements vary by city and county – specifically Riverside and San Bernardino County – which have local food handler card programs. San Diego County recently approved changes to accept our Learn2Serve training.